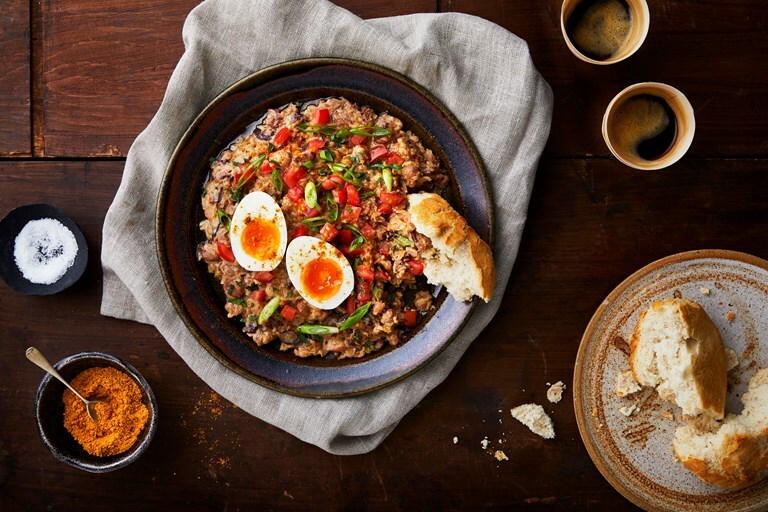 This Ethiopian ful medames recipe makes a superb, spicy breakfast, served with boiled eggs and crusty white rolls. Be sparing with the mitmita before serving, adding more later if you'd like to increase the heat – it packs a real punch thanks to the bird's eye chillies. Ful medames, or 'stewed dried beans' are a common breakfast dish throughout Egypt and the Middle East. The Ethiopian version stews the beans in berbere and niter kibbeh, a fragrantly spiced clarified butter and is sprinkled with the fiery spice blend mitmita.